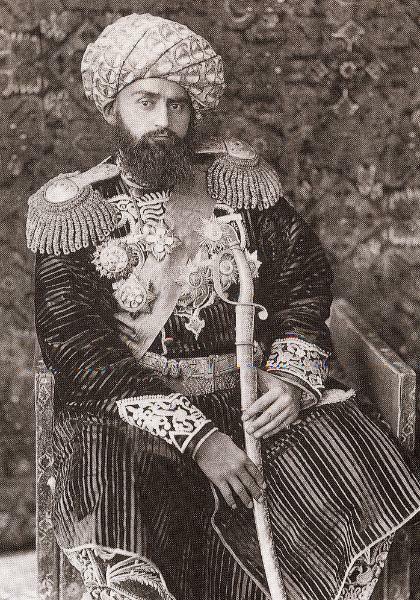 As part of the construction of the ambitious Trans-Caspian railway, Russia needed the agreement of Emir Abdul Ahad of Bukhara to cross his territory. For a vast sum of silver, the Emir consented, on condition that the railway line did not come within 16 kms of the city of Bukhara. So the Russians built a new settlement outside, in nearby Kagan. The railway line opened in 1888. This area became the "new town", where Russians settled. And to this day, there are large numbers of Russian who live in Kagan. The Emir of Bukhara had visited St Petersburg for the coronations of Alexander III and Nicholas II; he was taken with the flamboyant architectural style of the city. It is said that Tsar Nicholas II had planned to visit Bukhara and the Emir wished to accommodate him and his retinue in luxury. 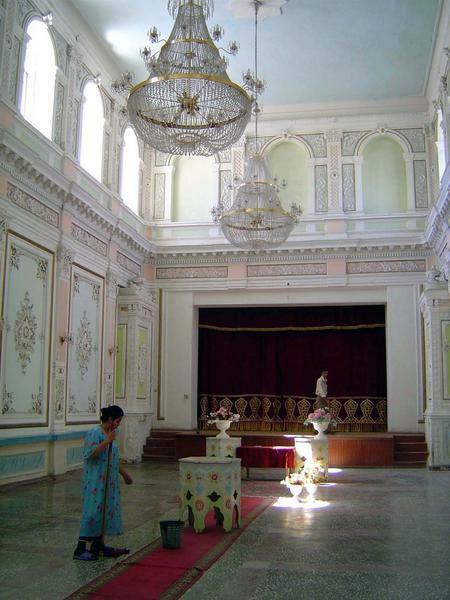 He engaged the famous Russian architect, Alexey Leontievich Benoit, to build a palace at Kagan. Construction began in 1895. 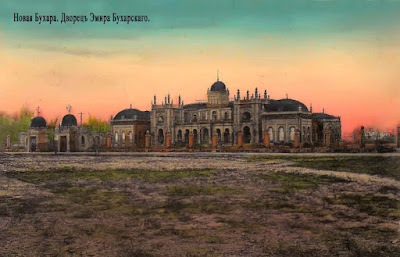 Benoit had designed many pre-revolutionary, noble buildings in Tashkent, some of which can be seen today. 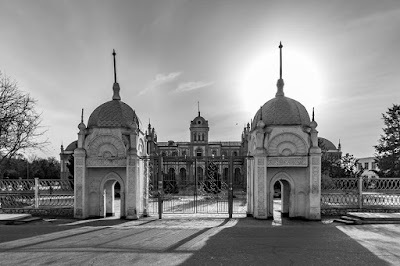 The Lutheran church in Tashkent and the palace for exiled Grand Duke Nicholas Romanov, which is now the venue for receptions held by the Uzbek Ministry of Foreign Affairs, were both designed by Benoit. 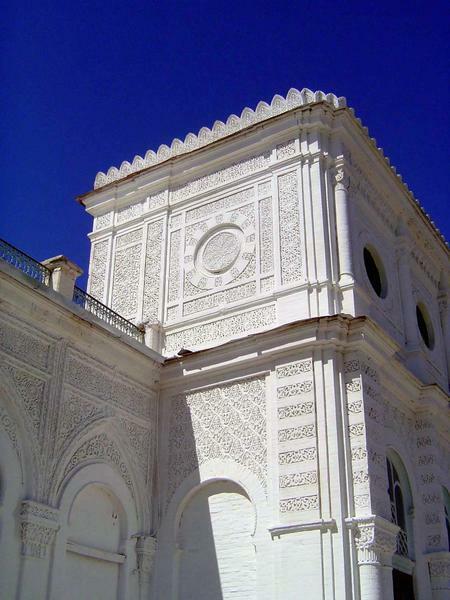 The wedding cake palace in Kagan - an eclectic mix of Moorish, Empire and Baroque styles - still stands today. It features an extravagance of turrets, columns and domes. 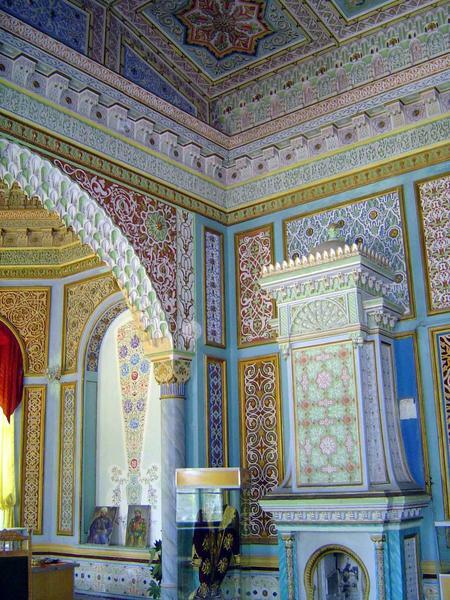 The internal decoration is a fusion of Oriental, Arabian and Empire motifs. Unfortunately, historical events overtook Nicholas II, and he did not visit Turkestan. For some time the residence was a hotel for visiting dignitaries - non-Muslims not permitted to enter the holy city of Bukhara. Later it was used by the tsarist Russian political commissar. In 1920, after the Soviet conquest of the Bukharan emirate, it became the social club for the railway proletariat. Today it belongs to the Kagan municipal authority and houses a small railway museum. The banquet hall is the venue for local cultural performances and can be hired for a soiree if you so desire. 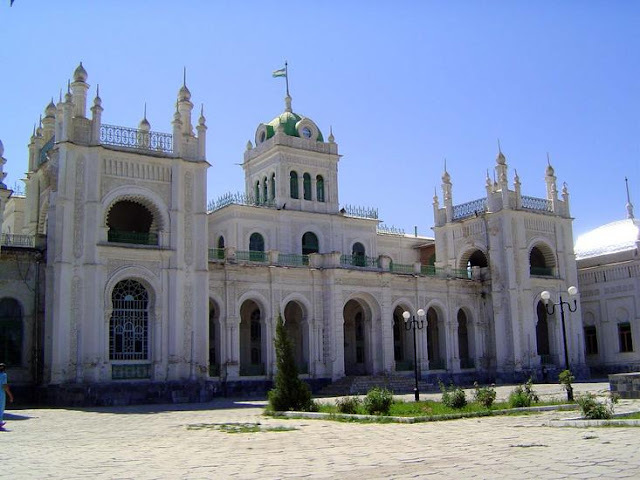 A visit to Kagan is not included in an Uzbek Journeys tour. However, there is ample free time to visit independently. Hiring a local guide is recommended as he/she should be able to arrange entrance to the palace. Also tucked away in Kagan is the small Russian Orthodox church of St Nicholas dating from 1892. It has been extensively rebuilt and was reconsecrated in 1969. 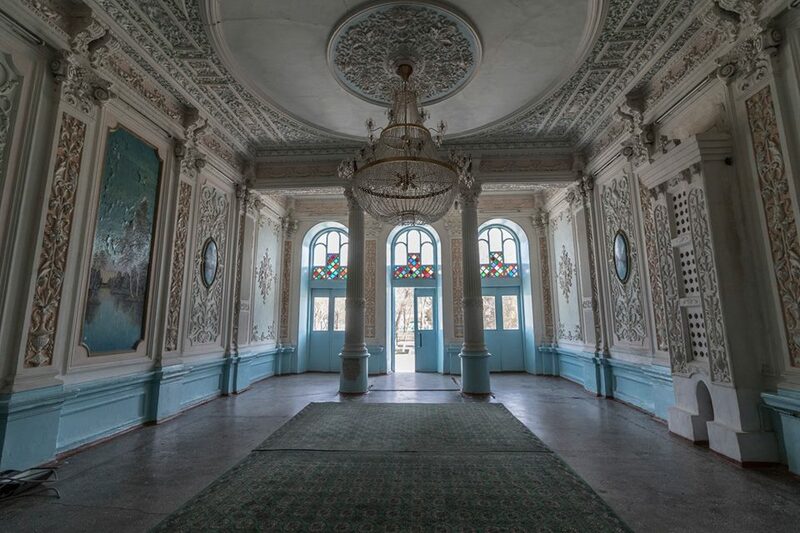 Some historians refer to this building as the Versailles of Central Asia. Judge for yourself from the images below.